Gael and Brian's alma mater -- the University of St. Thomas in St. Paul, Minn. -- ran a six-page excerpt of the book in the latest issue of St. Thomas Magazine. Gael joined Bill Leff on WGN Radio's "This Week in Pop Culture," for a fun conversation about everything from BooBerry cereal to Aurora Monster Models to Rankin-Bass. John Hines had Gael and Brian on for a half-hour interview on The Good Neighbor. It was old home week for Brian; he interned at the iconic Minnesota radio station back in 1988. Thanks to Mad Moose Mama for her fun review of our book! Gael had a great time in Little Rock over the weekend, speaking at the Arkansas Literary Festival. She received a warm welcome, traded a signed copy of the book for a gourmet grapefruit-lime ice pop (mmm...) and rubbed elbows with Maya Angelou. Not a bad way to spend a few days! Here's a piece about the event on Today's THV. InArkansas.com ran a nice preview of the Arkansas Literary Festival, where Gael spoke over the weekend. Gael appeared on Bill Leff's show and took calls from listeners -- a fun conversation about the lost stuff of the '70s and '80s! LoneStarPrep posted a nice review: "Heehee, this one was fun. If you are a child of the 70s or 80s... this book is for you!" Kevin O'Neill at WOMC 104.3 Detroit chatted up "Pudding Pops" with his listeners several times over the weekend. Caroline at the Crowding the Book Truck blog posted a great review. 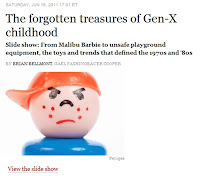 "Pudding Pops" is included as one of "10 Christmas Stocking Stuffer Ideas for Generation X." The Richmond Times-Dispatch included "Pudding Pops" in this weekend's holiday book gift guide, calling it "A great nostalgia-inducing gift for fellow members of Generation X." Thanks for naming "Pudding Pops" the staff pick of the day! Check out this Q&A with Gael as a featured Awesome Author! 10/19/11: WJON Radio, St. Cloud, Minn.
Brian's hometown radio station did a fun interview in advance of the 10/21 signing at the St. Cloud Barnes & Noble. Brian's local paper did a great, very fun feature on him, Gael and the book. Thanks to Lori Carslon! Brian's hometown paper covered his upcoming signing at the St. Cloud Barnes & Noble on Oct. 21. Thanks a lot to Maria at Room 635 for the shout-out about "Pudding Pops" in her review of another book. We're really glad you like it! The interview Gael taped a few weeks ago with the Faith Middleton Show aired on CT Public Radio. Thanks a lot to the folks at Living Today for having us on this afternoon. Very fun conversation! Thanks very much for the four-star review! Natasha says: "It’s the perfect gift giving book for anyone who grew up in the more 'simple times.'" PopMatters did a fun follow-up to their original review of the book, this time focusing on what we'll be nostalgic about in the future. Butterfinger BBs, anyone? Maria at Room 635 just posted an awesome review of the book, calling it "better than a long-lost Scott Baio interview in Dynamite!" Rebecca at Potlikkery posted a very nice review of the book, and focused primarily on the foods we cover. LOVE this review in The Weekender. Here's a snippet: "With entries like 'John Hughes Movies,' 'Judy Blume Books,' 'Love’s Baby Soft' and 'Pen Pals,' it’s hard not to go into a state of nostalgic euphoria while reading 'Whatever Happened to Pudding Pops?'" This pop-culture criticism site calls "Whatever Happened to Pudding Pops?" "beautifully written, crisp, clever and fun." 7/19/11: WEAU-TV, Eau Claire, Wisc. Judy Clark had Brian on WEAU 13 News Today for two fun segments, here and here. "Whatever Happened to Pudding Pops?" was featured as part of this week's "Pop 10." 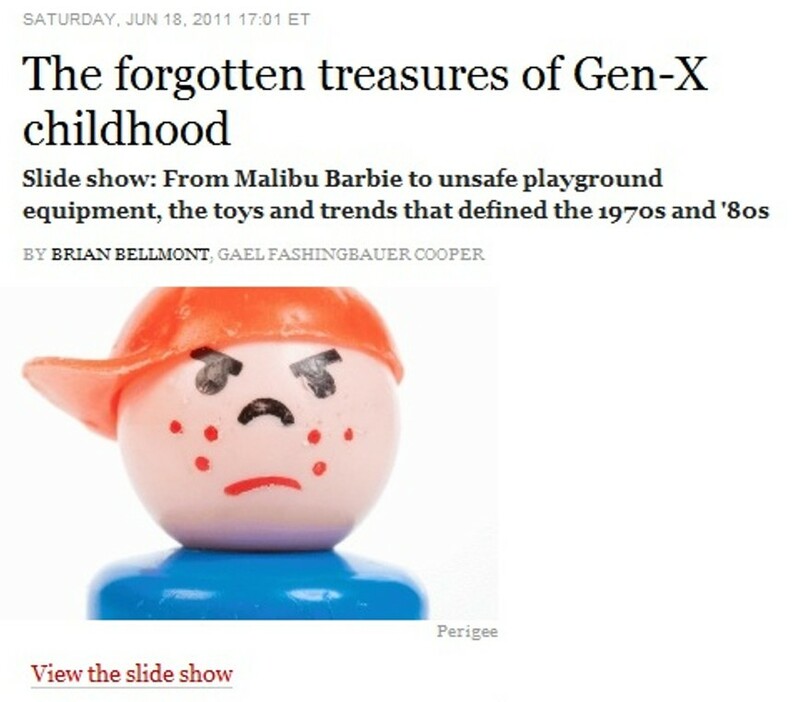 Chris Cummins wrote this really nice -- and thoughtful -- post (and singled out creepy '70s toy Hugo, Man of a Thousand Faces). Our publisher, Perigee, ran a blog post that features our reflections on our recent Today Show appearance. Lisa Parsons at The Hippo, New Hampshire's largest weekly newspaper, gave the book a glowing review in the July 7 issue. Matt Lewis at The Daily Caller had us on his podcast for a fun half-an-hour discussion. Check it out! Thanks to librarian Jessamyn West for the kind words on her "Booklist" blog! Sarah D. Bunting at Tomato Nation had us in for a live chat -- very fun. Check out the replay here. Just click on "Pudding Pops live chat" to check it out. Amazon named "Whatever Happened to Pudding Pops?" an editor's pick for June, and listed it as one of the "Best Books of the Month"! This Canadian station calls the book "a fun little trip down memory lane." He says our book is "a really fun read." Whitney Matheson of USA Today's Pop Candy just called "Whatever Happened to Pudding Pops?" a "fun pop-culture book," and says we're "two people who obviously lived through and loved the '70s and '80s. They're funny and sharp, and their passion for pop jumps off the page." Kristin Tillotson put together a nice piece and slideshow featuring some of the items from our book in today's Star Tribune and on StarTribune.com. 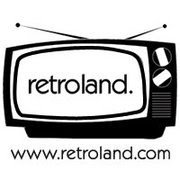 Retroland is giving away two copies of "Whatever Happened to Pudding Pops?"! Just head over to their site or Facebook page to find out how to enter. Gael was on New Day Northwest in Seattle today, complete with Choco-diles and a studio audience! These guys covered our University Bookstore reading. Thanks to everybody who stopped by! Vic Sage at The Retroist posted a really positive review of our book. Thanks, Vic! Salon put together a phenomenal slideshow and excerpts of 15 entries from "Whatever Happened to Pudding Pops?" Scoopgirl included "Whatever Happened to Pudding Pops?" in her 50-book challenge. Seattle Weekly wrote a piece about the book and featured our upcoming signings at Third Place Books and University Books in the Seattle area in its list of this week's recommended events. Another really positive review. Thanks very much to Daddy Geek Boy! 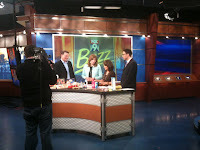 Gael chatted about the book on WCCO's Noon show. Here's the clip! Thanks to Lainey at 5 Ft. Icons, Kathryn at Penguin's Gift and Kindle Book of the Day for talking about "Whatever Happened to Pudding Pops?"! Gael did a fun interview with Mike McConnell, and took listener questions. Thanks to David Cummings for having us on his show, Rockin' in Rhythm. Here's a link to the interview. Mike Dougherty mentioned the book in his Digital Mike column. KARE's Eric Perkins chatted with us on this Minneapolis/St. Paul Saturday-morning show. We talked about several of the toys, games and foods we feature in the book. "Whatever Happened to Pudding Pops?" is part of the "What We're Into" section. Here's the clip of our appearance on the Today Show with Kathie Lee and Hoda. Hoda is a big fan of Quisp. Who knew? Gael's awesome blog post about some of the food from our book is up on Today.com. There's also a really fun slideshow up that features a bunch of photos from the book. The folks over at the Novel Discussions blog have some nice things to say about the book. Rob Owen interviewed Gael for "Tuned In: 'Pudding Pops' book covers '70s, '80s pop culture." Brian's hometown newspaper blogged about the book, and included a link to our Today Show appearance. "Pudding Pops" is featured in a roundup of "retro writings." Monique Jones posted a great review: "If you’re a pop-culture junkie, want to take a time machine back to your past, or just like reading humorous books, pick this one up for sure." Judi gave a great shout-out to the book on Dave Barry's Blog at MiamiHerald.com. 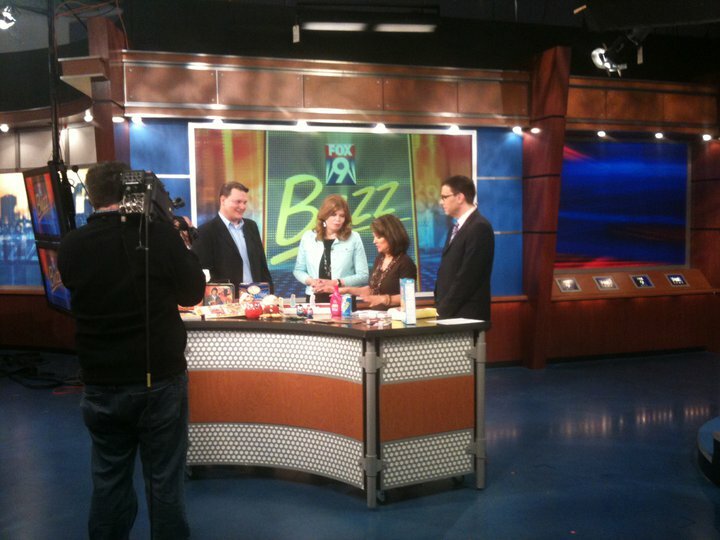 Gael and Brian chatted about retro toys, foods and games on the FOX 9 News Morning Buzz today. Gael's pal Linda Holmes mentioned the book on her NPR.org Monkey See blog. The Seattle Times' Books section talks about "Pudding Pops," and mentions our two upcoming Seattle-area bookstore events. Seattle PI picked up the BlogCritics review. Thanks to JenX67 for featuring the book! Gael's interview with All Things Considered ran on NPR stations across the country Sunday. Check out the interview, article and photos here. The print version of Jen Chaney's fun Celebritology piece ran in Sunday's edition of the Washington Post. Brian's interview has been postponed. We'll let you know when it gets rescheduled! Damian Penny at BlogCritics.org reviewed the book, saying, "anyone whose childhood included hours leafing through the Sears Christmas Wish Book and playing lawn darts should enjoy the book." Fashion Plates! Underoos! Dynamite Magazine! Jen Chaney posted a really fun piece on her Celebritology blog where we weigh in on whether some of the iconic stuff from the '70s and '80s might come back. A shorter version is set to run in Sunday's Post. This site ran excerpts of our After School Specials and Burger Chef chapters. Here's a post we wrote for our publisher Perigee's blog: Retro Revival: Celebrating Our Childhood Memories, One Pudding Pop at a Time. Linda from SundryMourning.com gave the book a lovely review, saying "every single page will remind you of something from your childhood. Sea Monkeys! That’s Incredible! Lik-M-Aid! What a fun way to revisit all of that stuff." 5/24/11: Lose That Girl calls the book "a joyous romp down memory lane." Nice! The Providence (RI) Journal's Mark Patinkin featured "Whatever Happened to Pudding Pops?" in a column called "Youthful joys of ‘Pong,’ candy cigarettes and wax lips." 5/23/11: Connect with your Kids through Pop Culture and Technology Thoughtful review, from a Baby Boomer's perspective. Star Tribune books editor Laurie Hertzel included "Pudding Pops" in her Sunday column, and mentioned our two upcoming Twin Cities signings: Roseville Barnes & Noble on June 9, and Mall of America Barnes & Noble on June 11. Pop Culture Guy Don posted a great early review of the book. Here's an excerpt: "I loved reading 'Whatever Happened to Pudding Pops?' and I suspect anyone who grew up during the 70's and 80's will feel the same way. Overall, the book is very well written, clever and extremely informative. In addition, it is impossible to put down, as memory after memory comes pouring out, with the turn of every page." Whatever Happened to Pudding Pops? 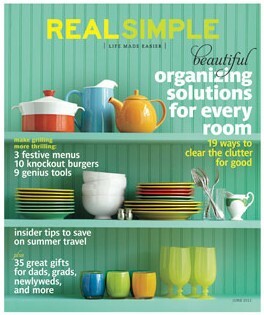 is featured in the June issue of Real Simple magazine, zeroing in on our chapter about the long-lost Marathon bar, "that beloved 1970s chocolate-covered caramel candy sensation." Mmm. 4/27/11: Oakland Tribune Gael was quoted in this piece on the hubbub surrounding the royal wedding: Royal madness: TV tells us we care about the nuptials across the Pond. But do we?